We’ve got a really good feeling about this. He’s a gambler, a driver, a flyer – and an unexpected hero in the making. 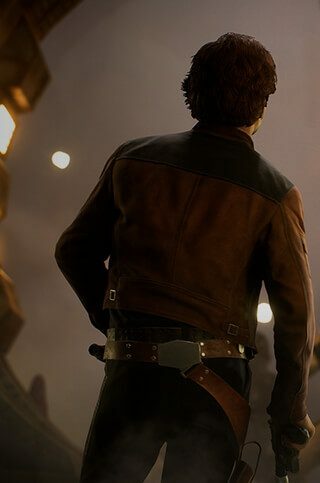 It’s time for young Han Solo to enter Star Wars™ Battlefront™ II: The Han Solo Season,* with content inspired by Solo™: A Star Wars Story™. Previously this season, we took players back to Jabba’s Palace on Tatooine, introduced new ways to play the game, and explored the iconic friendships and rivalries of Han Solo and the Millennium Falcon crew. But there’s a whole lot more to it. Here’s what’s coming your way this month, starting June 12. Completing the infamous Kessel Run in 12 parsecs is no small feat for a smuggler, and now you’ll get to visit the notorious planet yourself. It’s not for the faint-hearted though – conditions are harsh, and the Galactic Empire is heavily invested in the local supply of the highly sought after coaxium. 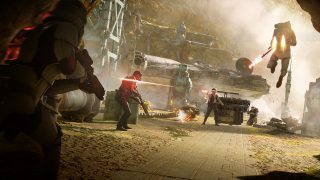 Bring your blaster and delve into the mines in a variety of game modes – a hectic round of Blast, the tactical Hero Showdown, Heroes vs Villains, or this season’s fresh Extraction mode – as this location debuts in Star Wars Battlefront II. Hold on, we’re receiving some intel on another high-risk mission in the Outer Rim. In Extraction, an infiltration squad must retrieve and escape with a critical payload while fending off enemy forces. Players will join as either attackers or defenders in this asymmetrical and intense mode. So halt the goods being delivered to the Millennium Falcon in the winding mines of Kessel – or push your way through Jabba’s Palace before time runs out – when Extraction arrives on June 12. 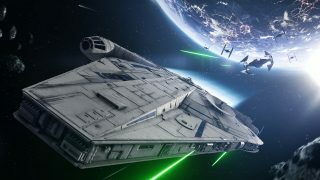 For the first time in Star Wars Battlefront II, you can pilot Lando’s Millennium Falcon** prior to when Han Solo won it in a game of sabacc. Engage the trusty droid companion L3-37 as your co-pilot, make roaring TIE fighters drop like flies, and activate the coaxium injection boost to get away before anyone knows what’s happening. Make sure to give it a spin – it packs quite the punch! By hanging around with law-benders and thieves, you might be expected to look a bit rough around the edges. Live up to it with two new Appearances*** for Han Solo, and while you’re at it, gear up for some fast-paced action with Chewbacca’s stylish goggles – all carefully modelled after their looks in Solo: A Star Wars Story. Speaking of style, Lando Calrissian dresses as the sophisticated and smooth-talking schemer that he is with two fashionable variations. 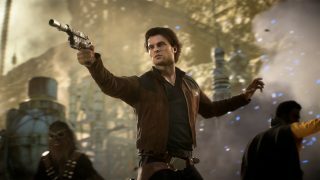 Make sure to check out the latest Community Transmission to get more details on what Star Wars Battlefront II: The Han Solo Season has to offer. 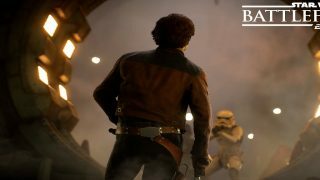 Remember to keep an eye on this space for full coverage and check out EA Star Wars on Twitter, Facebook, and Instagram or join the discussion on the official forums. We will share an update on what’s next for Star Wars Battlefront II at the EA PLAY press conference on June 9. 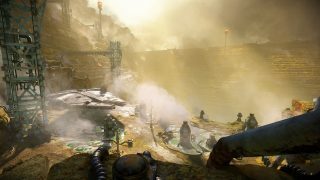 Also, Extraction on Kessel will be showcased for the first time exclusively at the EA PLAY FanFest between June 9-11. **Lando’s Millennium Falcon is available for Credits. ***Appearances are available for Credits or Crystals.